Yevgeny Yevgenyevich Kuznetsov simply known as Evgeny Kuznetsov is a Russian professional ice hockey forward currently playing for the Washington Capitals of the National Hockey League. He has won the Stanley Cup with the Capitals in 2018, as the leading scorer with 32 points in the 2018 Stanley Cup playoffs. Evgeny made his first professional debut with Traktor Chelyabinsk of the KHL in the 2009-10 season. He was also honored with the gold while playing in the Russian National Junior Hockey team. He was so much fascinated by the ice-hockey since he was a child. His family moved from Chelyabinsk to Omsk so the Evgeny could play hockey. He holds a Russian nationality and belongs to a white ethnic group. Kuznetsov started his professional career with Traktor Chelyabinsk and made his debut in the 2009-10 season and went on to appear 35 times in the NHL. At the end of the season, he scored 8 points and came in third on the list of best European skaters as collected by the NHL Central Scouting Bureau. In the 2011-12 season, he won the Continental Cup and a bronze medal and was included in the KHL Star Game. Later in 2014, Evgeny was brought on board by the Washington Capitals by signing an entry-level contract. He scored his first- albeit short-handed goal- against the Los Angeles Kings. 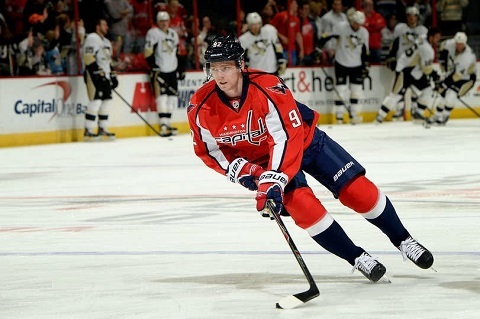 During the Stanley Cup playoff, Kuznetsov successfully scored two goals and even made an assist against the New York Islanders which ended in his team's favor with 5-1. He also scored an incredible and winning goal in their Eastern Conference quarter-final game against the Islanders. Evgeny put on showing his talent with another goal for the Capitals in overtime to defeat two times defending champions Pittsburgh Penguins on their way to defeating Tampa Bay Lightning in finals in the 2017-18 season. Kuznetsov has successfully established himself in the international stage of Ice-hockey as well. He made his international debut for Russia at the 2010 World Junior Ice Hockey Championship, scoring two goals in the preliminary round game against Austria. In the gold medal game against Canada, he provided three assists which made Russia win with 5-3. He was rewarded with a place in the competition's All-Star Team. Due to his fantastic performance in the matches, he got a chance to captain the Russian team where he scored three goals, making six assists for the team in 2012. After the match, he earned the record for most points recorded by a Russian Player at the World Ice Hockey Juniors. The Ice Hockey player earns an excellent amount of money as a salary. He has an impressive net worth estimated at around $6 million which is in accordance to his standard of living. Evgeny signed a $3.8 million deal to play for the Traktors in the 2013-14 season. Moreover, he signed an eight-year $62.4 million contract with the Washington Capitals which enabled him $7.8 million per season. 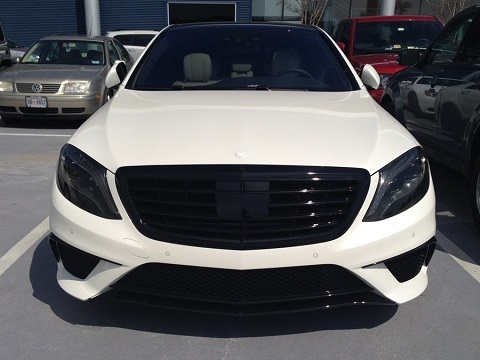 Besides, he has also bought a customized 2014 Marcedes Benz S63 AMG with a base price of $140k. It has got 577 horsepower. He also has a Mercedes VB Biturbo car. He keeps visiting in the car to the many places. The Hockey star is married to his girlfriend Anastasia Zinov'yeva. The couple started dating in 2010 and after being in a relationship for a year, the couple tied a knot in 2011 while Evgeny was just 19 years old. The wedding ceremony was held in his hometown of Chelyabinsk at the 7500 seater-arena of his debut team Traktor Chelyabinsk. The presence of Alexander Ovechkin made the occasion more beautiful and well shining. The couple is also blessed with a cute baby girl, Ecenia Kuznetsov. 26-years old star is 6 feet and 2 inches tall. He weighs 87 kgs. He is seen more curious and dedicated to his profession. And even spends his much time with family and friends.